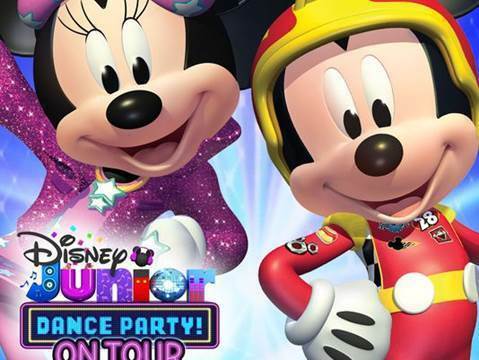 For many kids, "Disney Junior Dance Party! On Tour" in Phoenix will be their first concert. "It has that Disney magic," said Beau Black, a songwriter for Disney's animated series "The Lion Guard" who wrote music for the show. "So those feelings you get when you go to the (theme) parks or you see the (Disney) movies — it's there. There's a special, unique vibe." 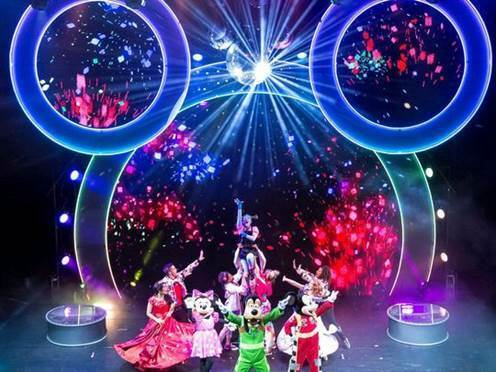 The 90-minute show includes two original songs, plus a giant Mickey Mouse-shaped DJ booth, high-tech screens where kids can watch themselves and 4D special effects. From the very first song, an original written by Black called "Disney Junior Party," parents and kids are up and out of their chairs. "It's not a passive experience," said Jay Stutler, vice president of music for Disney Television Animation. Parents and children can learn some of the choreography along with the dancers who will move from the stage into the audience. 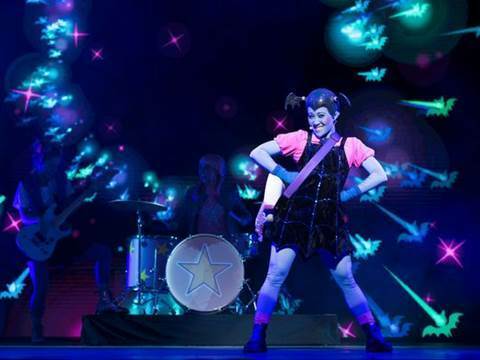 The show features 22 songs, including the popular Mickey Mouse Clubhouse's "Hot Dog Dance," the Lion Guard's "Zuka Zama" and Doc McStuffins' "Time For Your Check Up." But there are mashups of iconic songs and a slow ballad here and there. John Kavanaugh, an Emmy winner and music director for Disney's "Elena of Avalor," said the biggest compliments come from parents. He wrote the show's closing number, "The Power of All of Us." "We just try to write great songs. And one thing I've heard a lot from parents is that finally there's just some great music they wouldn't mind listening to 100 times in the car," Kavanaugh said. The show also includes special video appearances by characters from "The Lion Guard," "Puppy Dog Pals" and "Muppet Babies." Part of the show involves a mystery that the audience is invited to solve. Without giving too much away, it is threaded throughout the entire show and includes a dance party essential: A disco ball. 'Disney Junior Dance Party! On Tour' When: 6 p.m. Thursday, May 17.